"In Berlin I have found the world - the great, messy, beautiful world beyond the hedge surrounding the haute-bourgeois home of my youth. Sometimes it frightens me, sometimes it terrifies me - but I still wake every morning in anticipation of the city's next surprise. I will remain where I have found love; where people fight in the street; where I can feel the world spinning underfoot." 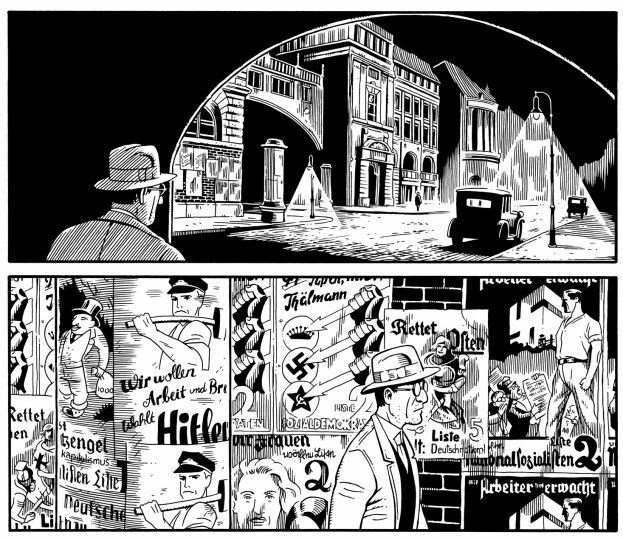 Jason Lute's BERLIN is an epic endeavour with an exceptional scope of detailed storytelling and a beautiful black and white, clean-line drawing style that makes an absolute truism of the term graphic novel. This is undoubtedly the most impressive work of historical fiction I have come across in our medium to date. Commencing in the final years of the failed Weimar Republic, in a Berlin gradually being torn apart by the ideologically opposed Communist and fascist National Socialist factions and their street-level thugs and militias, this work perfectly captures and conveys the polar opposites of bare survival and nihilistic hedonism variously endured and enjoyed by the city's many citizens. 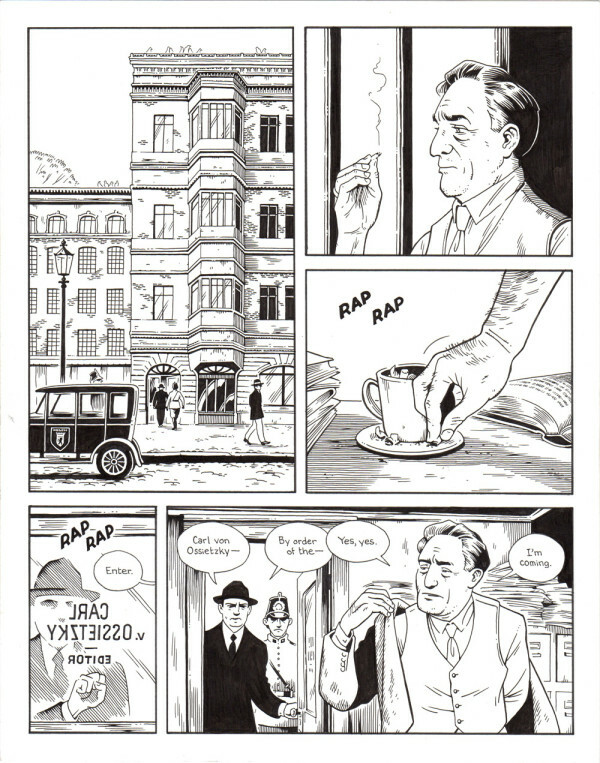 We follow the lives of an extremely varied and engaging set of characters from all walks of life illustrating the very different social strata of Berlin between the wars. 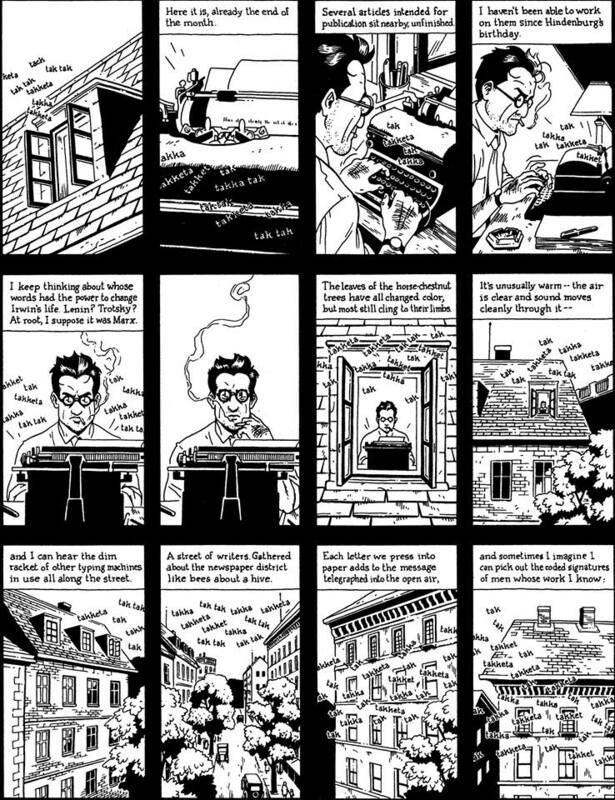 Their stories are inevitably intertwined, both with each other and the historical events occurring rapidly around them: a journalist, ill at ease with the growing sense of German nationalism and apparent abuses of the Versailles treaty by the Weimar leadership; an art student who is gradually drawn into a decadent, hidden high society scene determinedly trying their hardest to ignore the reality of what is happening around them; a Jewish family concerned only about the increasingly bitter political struggles and its implications for them; a gentleman tramp, trying his hardest to simply survive by bartering anything he can find for food; and a poor working class family, brutally torn apart as the parents choose conflicting sides in the escalating struggle between the Communist and Nationalist Socialist grass roots movements. 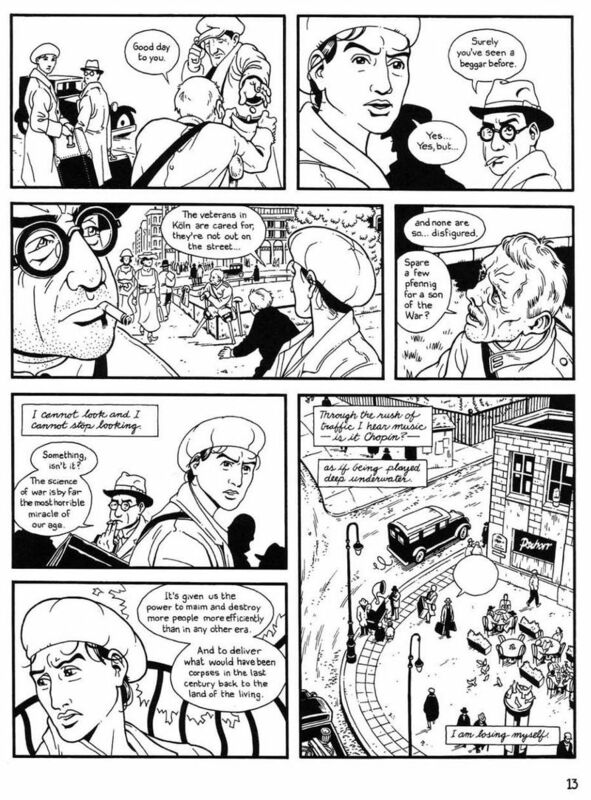 In a story crammed with fascinating historical detail, Lutes perfectly captures the growing sense of impending dread and potential civil cataclysm that starts to penetrate the lives of Berlin's citizens on a more frequent basis as gradually, it seems, everyone is forced to choose a side. 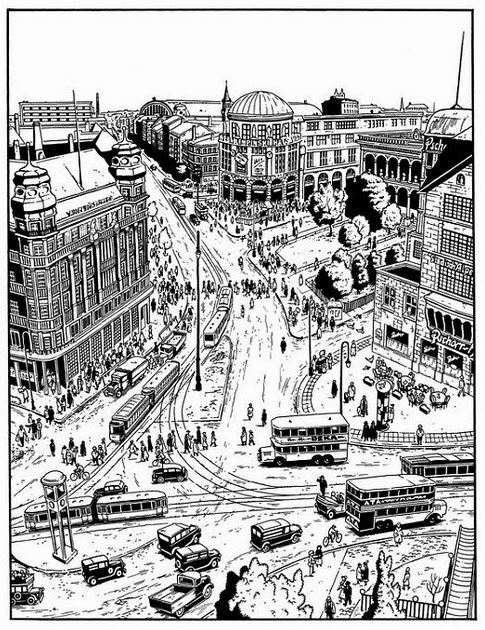 A special mention must be given to the artwork which allows the city itself to come to life as another character in the story. Dramatic views across the beautiful city are interspersed with close-up street portraits of the daily hustle and bustle of a vibrant if troubled populace. In whole, it has the feel of a beautifully and lovingly directed film. Even the choice of an ivory coloured paper rather than stark white adds to the atmospheric period flavour of the work.